Thank you for submitting your item for appraisal. 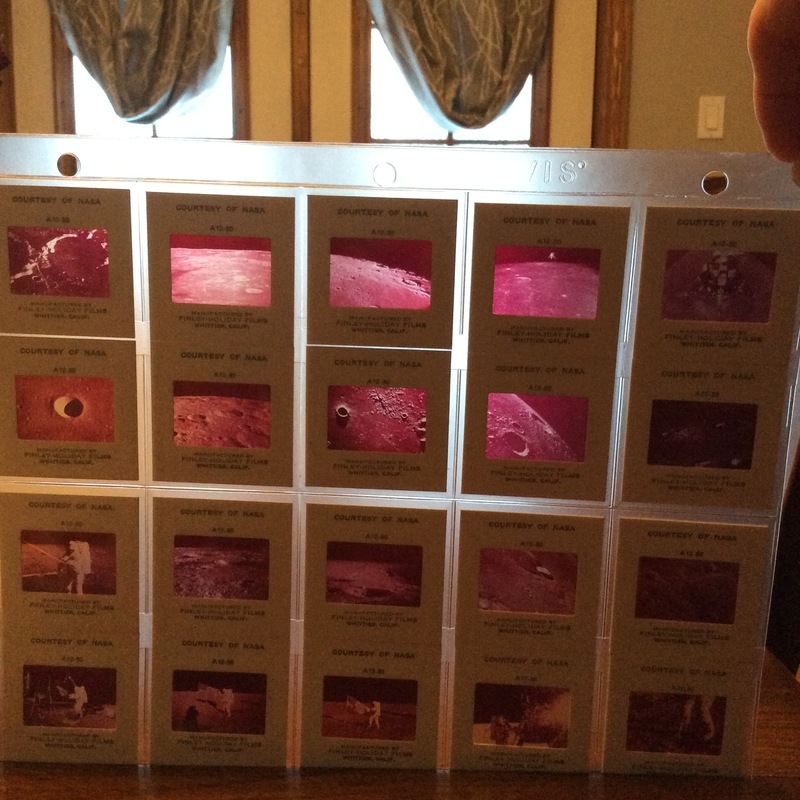 This appears to be a set of 35mm color slides, issued shortly after the return of Apollo 12. These sets were produced in huge numbers as the demand by the general public was very high and slide projectors were very common. It is very common that the slides have suffered from discoloration through the years, plus the number of slide projectors in the average household today tends to narrow zero. All this combined leads to a rather low demand and value today. The estimate is based on similar items sold at auction. There is no measurement for the sentimental value you might attach to it.